"Claudine Artisan Kitchen & Bakeshop is the collaborative effort of Chef Anthony Jacquet and Pastry Chef Lea Newton, whose combined skills and culinary passions have led to the opening of a globally-influenced neighborhood café and bakeshop in the San Fernando Valley. Named after Jacquet’s late sister, the driving force behind his decision to become a chef, Claudine Artisan Kitchen & Bakeshop is a full service restaurant, bakeshop, coffee bar, and grab n’ go deli. Serving only the highest quality food made with local and sustainable ingredients, Claudine Artisan Kitchen &amp; Bakeshop features an assortment of breakfast, brunch and lunch dishes.Highlighting the bounty of local and seasonal produce in California, the restaurant’s menu draws inspiration from the many cultures and people who have shaped the city." Located on Ventura Blvd in Encino is where you will find Claudine. From the outside, it blends it with the neighborhood Chipotle which sits in the same center. But walking inside, the expectations are blown away by how adorable this place is. Open kitchen with tons of baked goods ready for you to hover over. Everything is made fresh daily, so if you see low inventory, that's a good sign. Claudine also serves wine and beer which is always a plus. I started with a Stone IPA. They also carried a few specialty cocktails like sangrias and micheladas. We had a few dishes to sample, all delicious. They make their own house cured lox on toast. The salmon was not overly salty served on top of some preserved Lemon Cream Cheese, Pickled Shallots, Cucumber and Capers. Their Briana's Short Rib Grilled Cheese is also a must order. Stuffed with Stout Braised Onions, Roasted Mushrooms, ‘Merican Cheese, Black Vinegar Teriyaki, and russet wedges. Get your napkins ready. They also make their own naan pizzas. We've tried 2 and fell in love instantly. 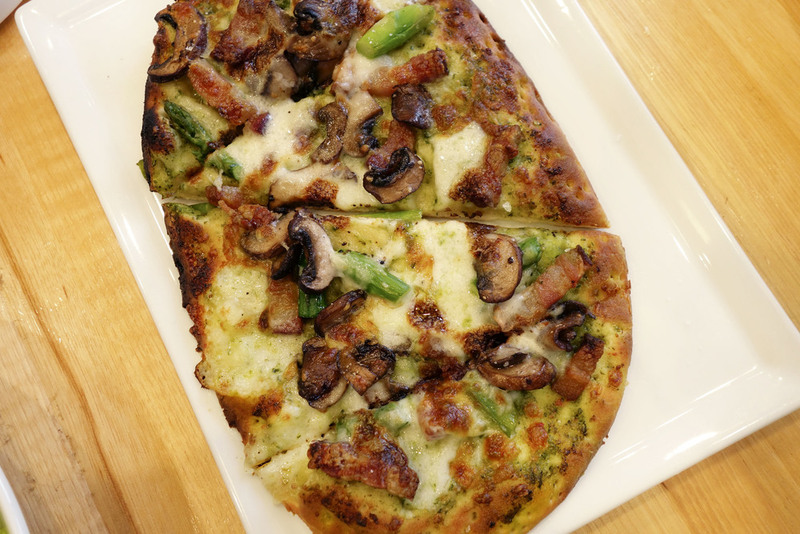 Cianna's Naan-Zza: pesto, buratta, bacon, mushrooms and asparagus. 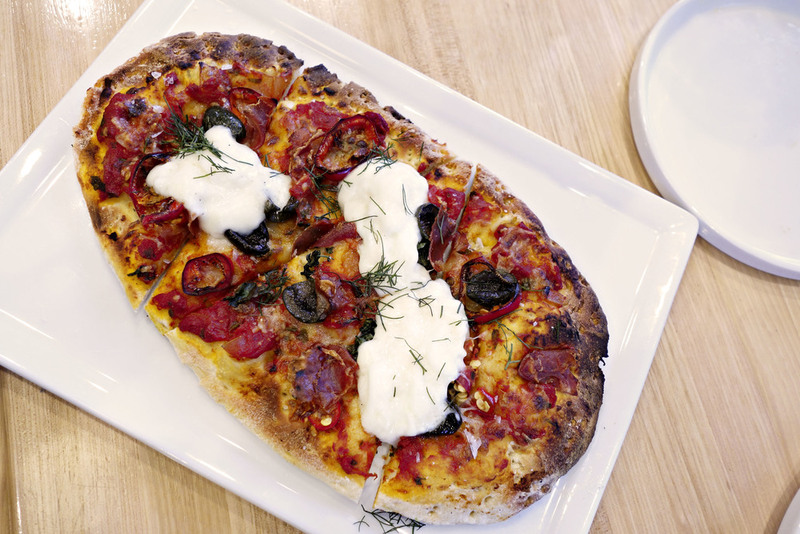 Serrano Ham and Olive Naan-Zza: fresno chile, buratta cheese and oregano. The Lea's Lightened Quiche was a winner all around. Custard made with spinach, basil, and only one egg with salad greens (SO GOOD). If you are not sure what to do about your life, order the Malted Milk Pancakes. Cinnamon-Blueberry compote, salted honey butter, Warm Maple Syrup and Bacon. Sandwich this baby together and eat it with pride. Lot's of it.